Thanksgiving is just around the corner and closing in on us fast! You may be cooking for a few that day or a crowd. 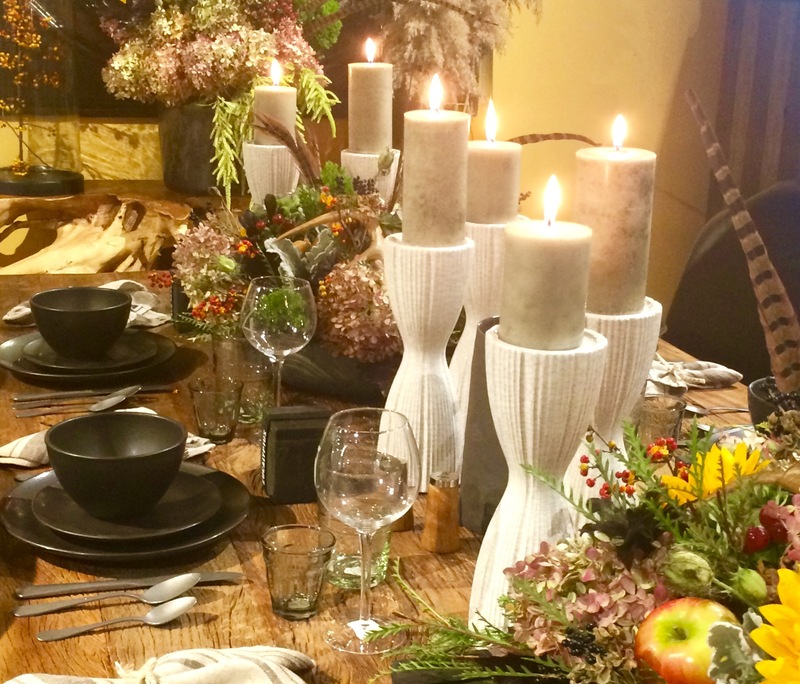 You also may be waking up to a houseful of hungry guests on Thanksgiving morning! This is one day where planning and prep are going to serve you well. After all, you want to be able to enjoy the day with everyone else. 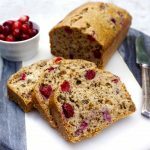 Hopefully you will find some help in this Thanksgiving Menu Ideas post. I am not to here to proclaim to being an expert but I have a lot of experience cooking for crowds! 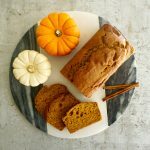 I am going to share with you some of my traditional Thanksgiving recipes and I am also going to share some other vegetarian options. 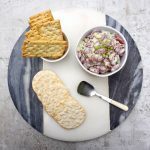 Check out some breakfast ideas that you can make ahead as well as appetizers and desserts. Pick and choose what suits your taste! 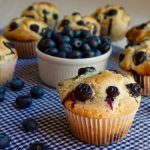 I am going to tell you by recipe, when it can be made, so you will be able to get as many things prepared ahead as possible. We can start this weekend, so get ready and cooking! 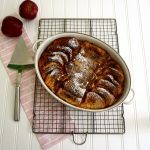 Overnight Apple Cinnamon French Toast is put together the day before. You could go ahead and line your pan on Wednesday morning with the butter mixture, bread and apples. Cover. Then mix the egg and milk in a separate bowl and cover as well. Before you go to bed, pour the egg mixture over the bread and cover for the evening. In the morning, all you will need to do is bake it. 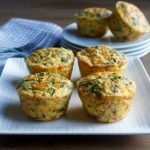 Mushroom Asparagus Frittata, and Chorizo Frittatas can be made now in either a large pie size or as minis. You can freeze them and defrost them the day before. You could also make them two days ahead. Directions for reheating are in the recipe. 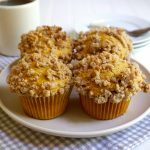 Pumpkin Crumble Muffins and Blueberry muffins are an easy and casual breakfast items which you can make now and freeze. These will be best if they are defrosted early Thursday morning before serving. 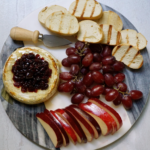 Baked Brie with Honey and Dried Cranberries takes about 2 minutes to assemble so do this just before baking. Toast baguette slices or serve with crackers, apple slices and grapes. 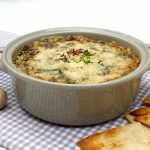 Spinach Artichoke Dip can be made the day before, placed in a baking dish, covered and refrigerator until you are ready to bake it. 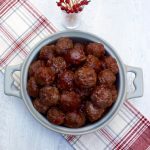 Cranberry Chili Glazed Meatballs can be made now and frozen or they can be made up to 2 days ahead of time. If you do freeze them, allow for several hours to defrost so start this the day before. Bean Relish can be made up to two days before, covered and refrigerated. Roast Turkey is one that I am going to defer to the experts at Butterball! There are a lot of variables when roasting a turkey. You may stuff the bird or cook the stuffing on the side. Their roasting guide pretty much covers it all and you can call them with questions at 800-288-8372. Here is a link to a Fool Proof Turkey Gravy recipe as well. 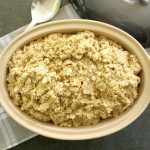 Classic Bread Stuffing can be made now and frozen or prepared the day before and refrigerated. If you freeze this ahead, make sure that you defrost it the day before. 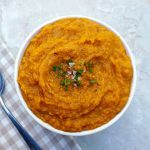 Roasted Butternut Squash can be roasted the day before, mashed, covered and refrigerated. It reheats nicely in a microwave or on the stove top. 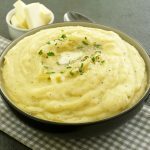 Creamy Mashed Potatoes should be made Thanksgiving day in order to be at their best. You can peel and cut the potatoes early in the morning and place in your pan covered with water. They should be fully covered or they will brown! One hour before dinner, boil the potatoes and mash them. You can keep them warm until dinner. 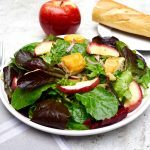 Apple Walnut Salad with Cheddar Croutons can be partially made the day before. Make the croutons, apple slices, walnuts and dressing on Wednesday and store in separate air tight containers. The apples and dressing will need to be refrigerated. Just before dinner, mix all of the ingredients with the mixed greens. 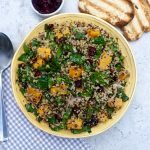 Butternut Squash Quinoa Salad can be made the day before and refrigerated, covered overnight. This is a hearty and delicious vegetarian option. 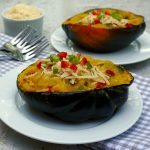 Twice Baked Acorn Squash can be made now and frozen or be made two days in advance. If frozen, defrost the day before. 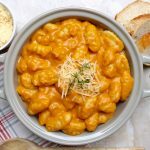 Gnocchi With Butternut Squash Bechamel can be partially made the day before. Make the sauce and refrigerate covered overnight. Cook the gnocchi 30 minutes before dinner while you are re-heating the sauce over low heat. Combine with the gnocchi and serve. This is another good vegetarian option. Hearty and filling. 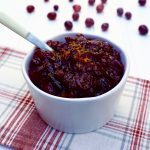 Cranberry Orange Sauce can be made 2 to 3 days ahead and refrigerated covered. 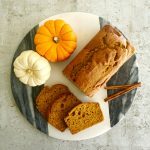 Pumpkin Bread and Cranberry Orange Walnut Bread can be made now, frozen and defrosted Thanksgiving morning. 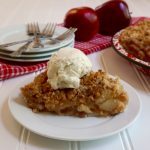 Apple Crumble Pie can be made now and frozen or be made up to 2 days before and covered. I would suggest that you do this now as it is time consuming! Defrost on Thanksgiving morning. Pumpkin Olive Oil can be made now and frozen or be made 1 day before and covered. Defrost on Thanksgiving morning. This is an easy, one bowl, moist cake. 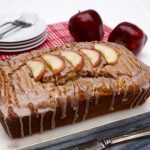 Apple Cinnamon Yogurt Cake is another moist and easy cake with all the spices we associate with fall. 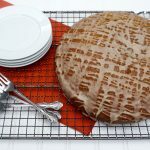 You can bake this now and freeze. If you are adding the glaze and apple slices, defrost one day ahead and add them at that time. 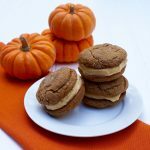 Pumpkin Crème Sandwich Cookies can be made now and frozen or be made up to 2 days ahead and kept covered in the refrigerator. Defrost on Thanksgiving morning. 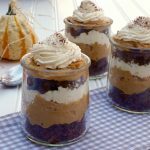 Check back in next Tuesday for my post on Pumpkin Gingerbread Trifle!